Warning! Sorry, property # 736 unavailable now! 718.447.2626 - Call for more info. Bring a bit of countryside charm into your city lifestyle when you choose this stunning one family home. 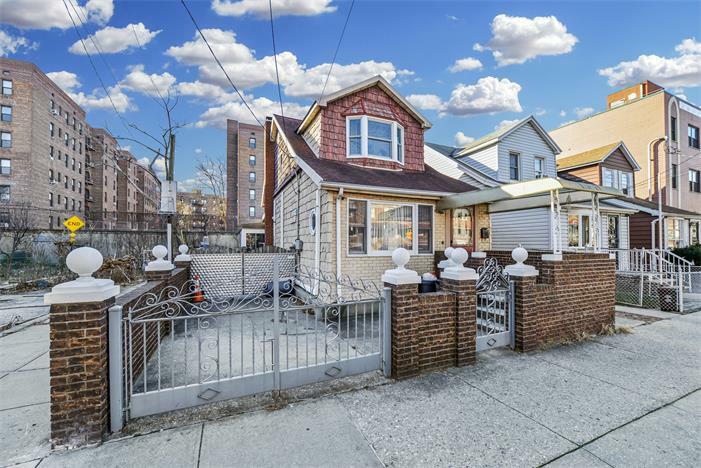 Situated in prime area of Sheepshead Bay in Brooklyn, this gorgeous detached house can give your growing family a comfortable place to live. The inviting layout features an entry that leads into the spacious living area with ample room for entertaining and enough space for a variety of setups to suit your tastes. A pass-through gives easy access to the tastefully decorated, eat in kitchen, that boasts modern grade appliances, custom countertops and cabinetry and matching ceramic tiled flooring, or perhaps you need a relaxing spot for sipping your morning coffee and reading the newspaper, this sunroom will serve as an enjoyable addition to your home, or if you choose, go alfresco in the sunny garden complete with a fabulous backyard with loads of space for parties, BBQ's, sunbathing or relaxing. The kids and pets will truly be in heaven here, kick a ball around, build a fort, pitch a tent and camp outdoors, you just name it, there's room for it in this yard! Continuing upstairs, two large bedrooms include an oversized master En-suite with a built in closet, fairytale children's bedroom are served by glamorous fully tiled bathroom. In addition, the house is complimented with a full finished lower level, intended for relaxation and entertainment with a convenient access to the park-size backyard. If all of the above doesn't sound amazing, add to the list a separate ground floor third bedroom that can be kept as-is, or for visiting friends and family, or incorporated into the rest of the residence. Offering a multi zone HVAC system, it is perfect for keeping the family in their comfort zone during the winter and summer months. The brand new high capacity water heater promises continued hot water all year round. Outdoors incorporate two-car private driveway to make your vehicles feel comfortable. From young couples through to extended families, this home has been designed with you in mind. Inside you'll love the spacious floor plan, which gives plenty of room to relax and enjoy. The affluent Sheepshead Bay waterfront community is a blending of elite neighbors and one-of-a-kind experiences. Not only are you a short walk away from Sheepshead Bay Canal and the Manhattan Beach Park, you are minutes away from indulging in any cuisine of your desire. You don't want to miss seeing this great home, so contact us to set up a walk-through today. Please call AmeriHomes Realty at 718.891.2626 to schedule a showing. *) The accuracy and applicability are not guaranteed. Design and development by VIO Solutions Inc. & FDS Inc.